Thanks guys, here's a preview of improved reflections. The bodyside reflections are now in colour where previously they were just black. The windows also have proper sky and cloud reflections though not very well visible in this image. You are getting there slowly, Oskari. makes me wonder though, I wanted to ask previously but forgot my decade(s) old profile here..
Why hasnt DRS got its own forum section? I think it'd go a long way to helping publicity if it did have its own place here and at other forums. is there a reason not too? It's not in my hands. To be honest I appreciate even having this thread here since it could be regarded as advertising. There's currently not that much activity anyway to justify a separate section. Maybe that'll change in the future with the availability of modding tools. Now it has it's own sub-forum. Thanks Mike, I've spent quite a few hours studying those films: the operation, sounds and underframe details. They've been a very important source of information along with the railcar website! Seen them already buddy, well you never told me about them. 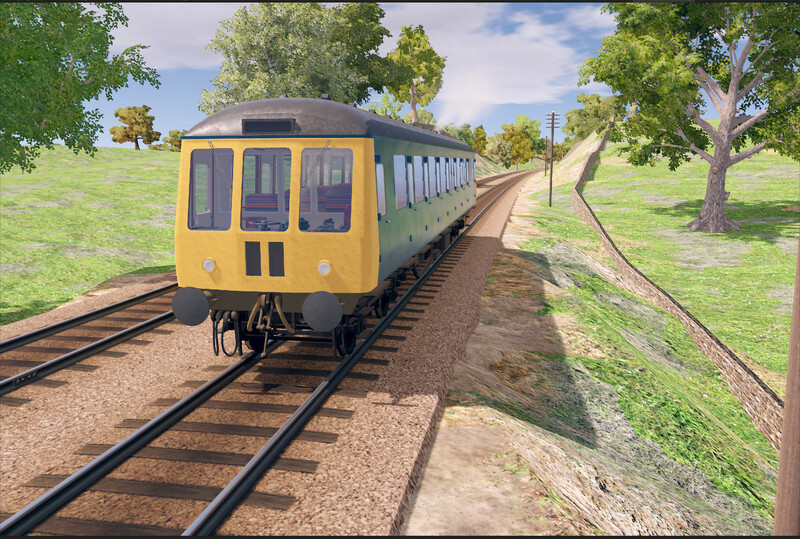 4 excellent video clips, if anyone is interested in Modernisation DMU's. Joking aside, i am glad you were aware of them Oskari.